Entry to Brighton & Hove City in Bloom competitions closes on 19th July. 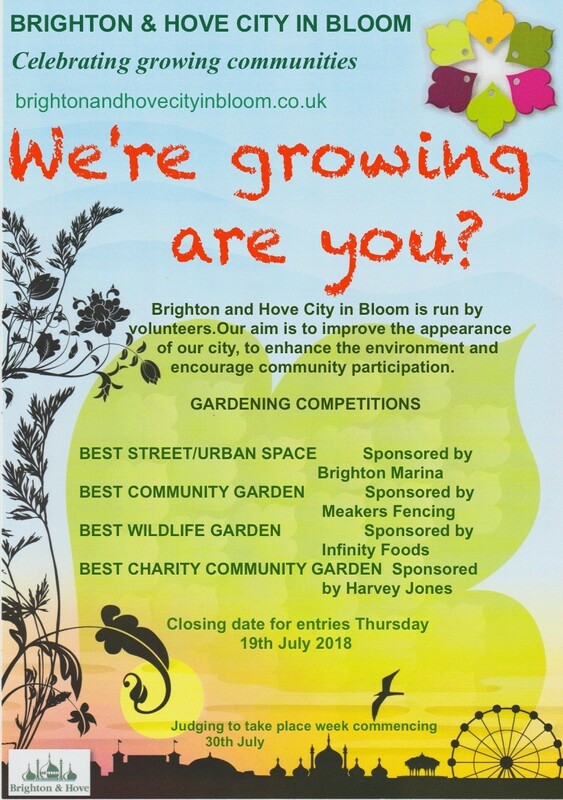 Entry to Brighton & Hove City in Bloom (BHCIB) competitions closes on 19th July. The categories this year are Best Community Garden, Best Street/Urban Space and Best Wildlife. With the help from generous sponsors BHCIB remain the only competitions that benefit from cash prizes which are divided as follows £80, £60 £40 and £20 for 1st, 2nd 3rd and 4th respectively.